If you have a dog, you know that a grooming bill can add up quickly. 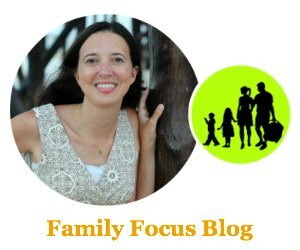 Sure, they do a wonderful job but you could save a ton of money just doing it yourself! Here are some diy dog grooming tips and a bit about dog grooming dryers so you don’t end up with a sopping wet dog that just gets dirty all over again. 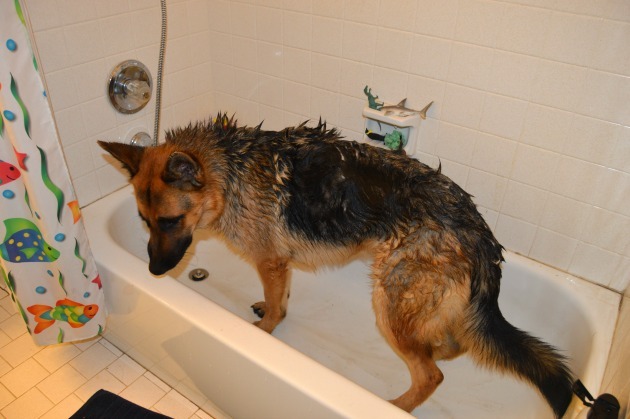 The most basic aspect of diy dog grooming is bathing the doggy and getting him or her nice and clean. Almost equally important is drying your pooch. Next, some dogs will need a nail trim or a coat trim. If you have a bath tub with a shower head on a hose, that is the perfect setting for a little diy dog grooming. First you will need to lure your dog into the bathroom. I just called mine in and shut the door but if your dog sees a trap coming, you may have to have a few treats on hand. Shutting the door is key because it will help make your dog easier to manage and prevent any running off in the middle of doggy bath time. First turn your faucet on and let it run until you find the perfect temperature, not too hot is key. Dog skin is tender and they are not used to hot water. Go for just above luke warm and make sure it runs for a little bit so that it doesn’t heat up while running on your dog. I then turned off the water so I could get my big guy into the tub. I had him sit and gave him lots of praise and pets. Then turn the water back on and test it again before spraying it at your dog. I put it quickly onto my dog and run the shower head right up against his fur so he feels like I am petting him and doesn’t see the water running. After he is nice and wet, I turned the water off and dropped some dog shampoo down the length of his back and rubbed it into till it lathered nicely. He should enjoy this part. It is kind of like a doggy massage! Then turn the water back on and wash all the soap out. This is really an important step- wash all of the soap out so that his skin doesn’t get irritated or itchy. After you think all of the soap is out, scrub his fur back and forth to make sure it doesn’t lather up again due to hiding soap. Yay! Now you have a nice clean dog. But he is sopping wet, what do you do? Sure, you could towel dry your pup but he will likely still be very wet and we all know that wet dogs love to roll in any dirt they can find. Plus, during the fall, winter, and spring, you don’t want to leave a wet dog that may get the chills. This is why dog grooming dryers are an essential part of DIY dog grooming. I am happy to tell you that B-Air provided a dog hair dryer, the compact and lightweight B-Air Fido Max-1 Dog Dryer, in the hopes that I would share my honest opinions with you. They are also generously providing one for a reader giveaway. 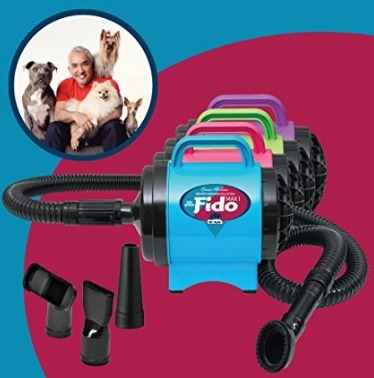 The B-Air Fido Max1 Dog Dryer is 100% approved by Cesar Millan, who has been called a “Dog Whisperer”. I found that this dog hair dryer gave me the confidence for DIY dog grooming because I could finally get my dog fully dry which makes it worth washing him. The B-Air Fido Max1 Dog Dryer has a very powerful but relatively quite fan and it is made for dogs. People hair dryers can be too hot and can burn your dog’s skin. The B-Air Fido Max-1 Dog Dryer comes with a 10-foot hose length for full flexibility, noise reducing insulated motor, washable filter, rubberized bumper feet for stability, a built-in handle, four interchangeable nozzles (cone, brush, round and slot) and a two-year warranty. It weighs only 7.8 lbs and it has a long cord so it is easy to maneuver. Though the dryer has a powerful motor, the air does not heat up too much so I could safely place the nozzle right against my dogs fur and use it to pet him. He liked that best as blowing from afar made him frisky and want to play and get it. I was amazed at how the water just blew right off. The cone nozzle was great for getting his thick underfur on his hind legs. The brush nozzle is great for de-shedding a dog’s coat during seasonal transitions. 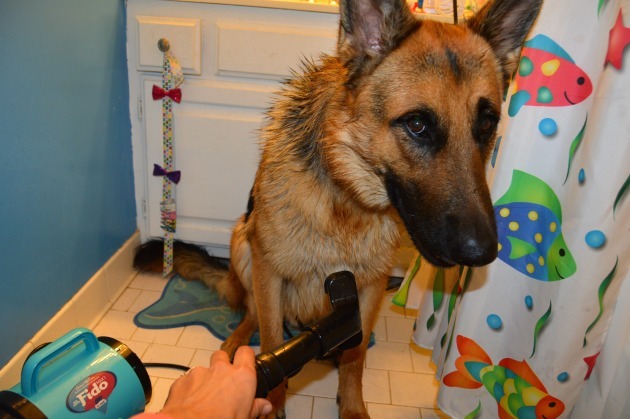 This dog hair dryer is super easy to work and does a great job. DIY dog grooming would not have been an option for me during colder months before I had my B-Air Fido Max-1 Dog Dryer. These dog grooming dryers come in four colors and can be purchased for about the price of what I would pay for 2 groomings. 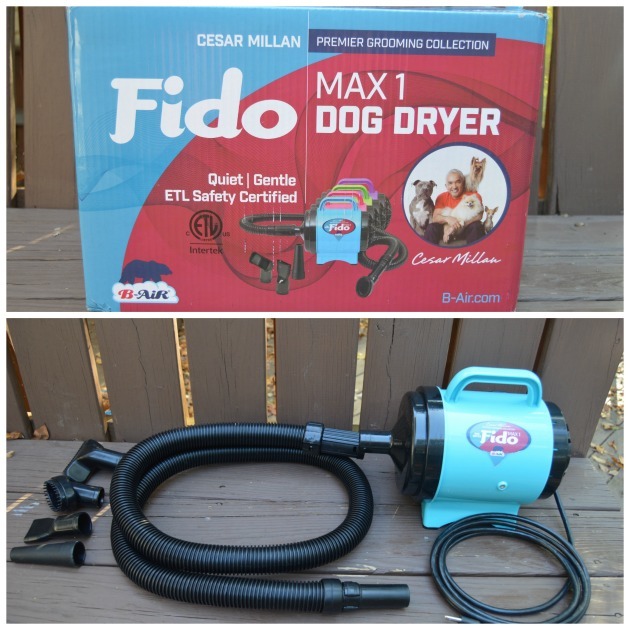 B-Air’s Fido Max-1 Dog Dryer makes it easy, convenient and affordable to dry my dog anytime he needs a bath. Clean enough to get on my bed! Plus, DIY dog grooming is also great for bonding, reducing stress, and saving time driving dropping, and picking up. You can find our more or purchase a B-Air Fido Max-1 Dog Dryer at Amazon. Here is my affiliate link for your convenience (that means I may earn a small percentage if you purchase it through this link). Email will be kept private. Winner announced above in the Giveaway Tools widget on November 29, 2016. Winner will be selected randomly through Giveaway Tools and I will notify by email. Winner must respond within 4 days or the prize will be forfeited and alternate winner will be chosen. 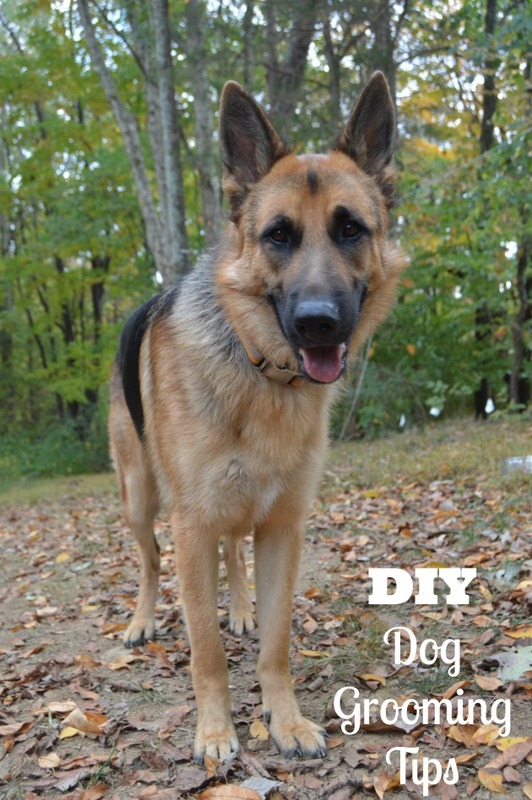 Have you tried DIY dog grooming before? Do you think dog grooming dryers are useful to getting a well groomed dog? Would you like to try the B-Air’s Fido Max-1 Dog Dryer? I love this! We have an american eskimo and a pomchi. both need to be groomed pretty frequently. I love that this doesn’t use heat and prevents rashes. My pomchi gets really dry skin, and the heat makes it worse. I really like the pink one! This looks awesome. I really like the lime green color. I would love the green one, my favorite color….and coincidentally my dog’s favorite color too! 🙂 Thank you. Red would be my color of choice, but what I really like is that the unit is low noise and that there is a 10 ft hose. Good luck to all. I would like to win the blue color. By using no heat, the forced air repels the water. Also with no heat, no rashes or burns. It is safe and certifies. That all means alot to me. I’d like the blue one. I’m torn between the green and blue but I guess I will choose the blue one thanks for the chance to win! I would love to win the one in blue. I like that the dryer quickly dries using natural air temperature. I’d love to have the green grooming dryer. Thanks for the giveaway! I would choose blue! We would get lots of use out of a dryer like this! This sounds like a good thing to have on hand. I like the green color. I like that it comes in purple. My dog’s hair is so long it takes forever to dry him after bathing. It would be great to have a dryer. I like the Hot Pink color. My girls Molly and Mazie like that color too. I would love one in blue!!!! This looks awesome! I could really use one of these. I just finished bath day for our three dogs, and by the time I was done, I was soaked myself. This would help so much! I would choose Turquoise. This would really come in handy at my house! i’d choose the green one! i like all of the different attachments! I would love to win the turqoise color. I like that it repels water without using heat. This is so great. I love that it is portable so I can use it outside or inside. I also love the different tips for it. I really like the blue color. I want the pink one for my female chug. I like that it is quiet and doesn’t use heat. I would choose the blue one. If I won I would pick the color Purple. I like that it’s powerful but quiet. That’s always a plus! I’d choose the green dryer. I love that it doesn’t use heat so keeps your dog from overheating. I would get it in pink–it would be hard to miss in the storage area! I like the lime green color. I recently started trimming my dog myself to save money — there’s a learning curve; he looked a bit motheaten for the first few attempts — and it would be great to have a dog dryer. Our pup’s terrified of the noise the human hairdryer makes, but if we let him loose damp, he makes a beeline for the nearest bed so he can roll around. I would like the Turquoise color. I like that you can use it as a de-shedder. The first pictured, the light blue, is my favorite color but I would be happy with any of them! I’d like to win the purple one. Thanks. I would be happy with any color. I really don’t think it matters. I like that it is low noise. My fur buddy does not like loud noises. I like the green dryer. I would like to win the blue. I like the blue one. This would be good for our dog and probably the cat too. I LOVE the long hose! It would make grooming my long-haired, 90 pound pup a breeze! I would like the lime green color if I won! I would choose the green one!! Would love to win the blue it would be a wonderful and sweet gift for my buddies. Thanks for being so generous and the amazing chance. Good luck all. I would love to win the turquoise color. I would like the teal color. I would like to win the green one.